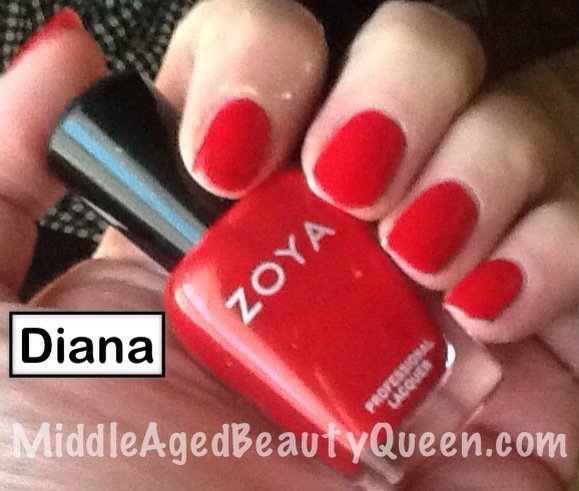 This is Diana from Zoya. 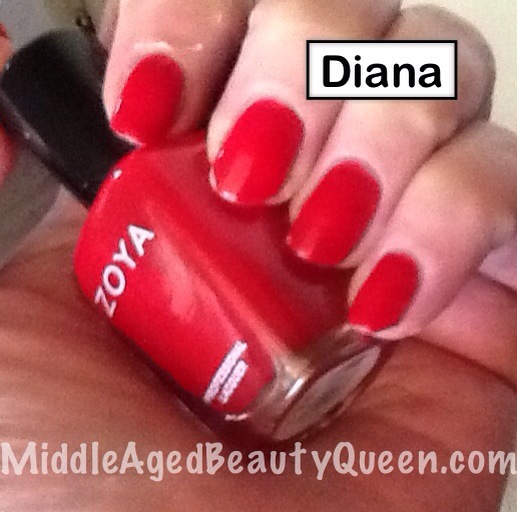 Zoya is not my favorite nail polish company but when they come out with the name of one of my favorite people on the planet, I had to buy it. This was the case with Diana (Dee-Anna). 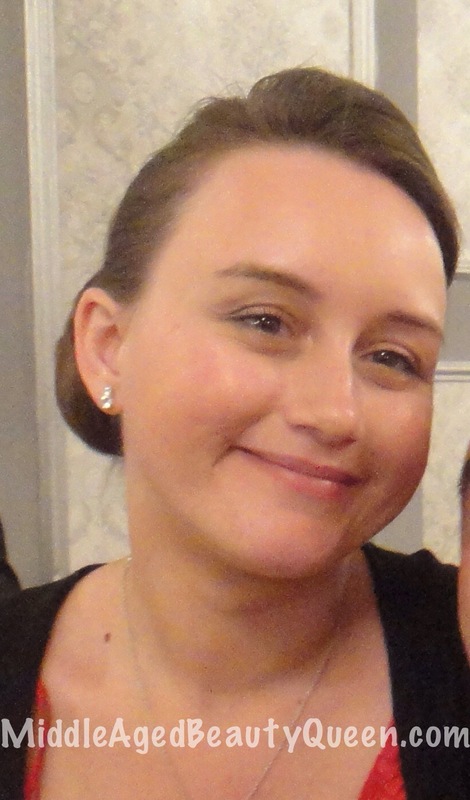 My friend, who I met on the internet, is a smart, gorgeous young woman. I have a lot of respect for her, and I enjoy so very much our “conversations” by email. I have learned a lot from her and without getting too mushy I just think the world of Diana , the person, not the polish. I bought Diana for Diana so she could have it in her collection. I think I forgot to mention she lives in LONDON. At about this time is when the Royal Mail sent her a package back to her. This package contained some nail polish I’d asked her to send. They also gave her a strict scolding about mailing banned items. You can imagine how badly I felt. I have been hanging onto Diana thinking there may come a time when things will ease up but recently I, myself received a scolding letter, with no package, and no promise of the package being returned. But I receive a very scary letter about mailing banned items. I have never been a huge fan of red nail polish and I don’t own a lot of it. I was surprised at well I like this color on me. This may be my new favorite red. I promise, if somehow I can get some to my friend, I will, but in the mean time I will enjoy this bottle of Diana . Of course I had to show this pic of my beautiful friend Diana. She is just as smart as she is gorgeous. A rare woman indeed and one I’m proud to say is my friend. As you all know my favorite type of nail polish is just a plain ‘ol straight up cream, no glitz, no sequins, no glitter, just a nice cream finish. I do however like a bit of sparkle and I really like a bit of brightness. 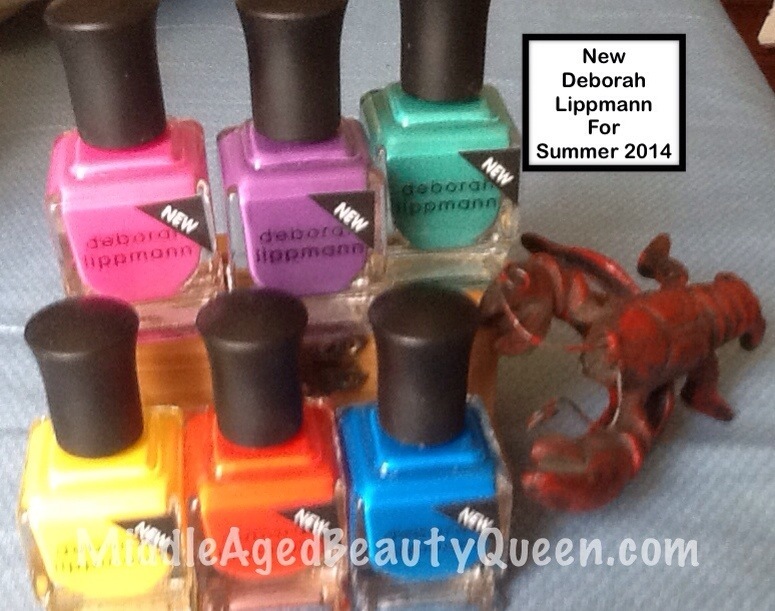 That’s what I love about the Deborah Lippmann Summer 2014 Collection . Now, I know I’ve missed the boat as summer has flown by with nary a blog from me but we still have a lot of hot summer days (and nights) ahead for us yet this summer. At least where I live (Pacific Northwest). Even though these are cream finish polish, I hope you can tell how bright they are. All the colors are this way, even the dark blue one. Yes, you expect a bit of “brightness” from the orange and yellow but I love the way that brightness is apparent in all the colors. 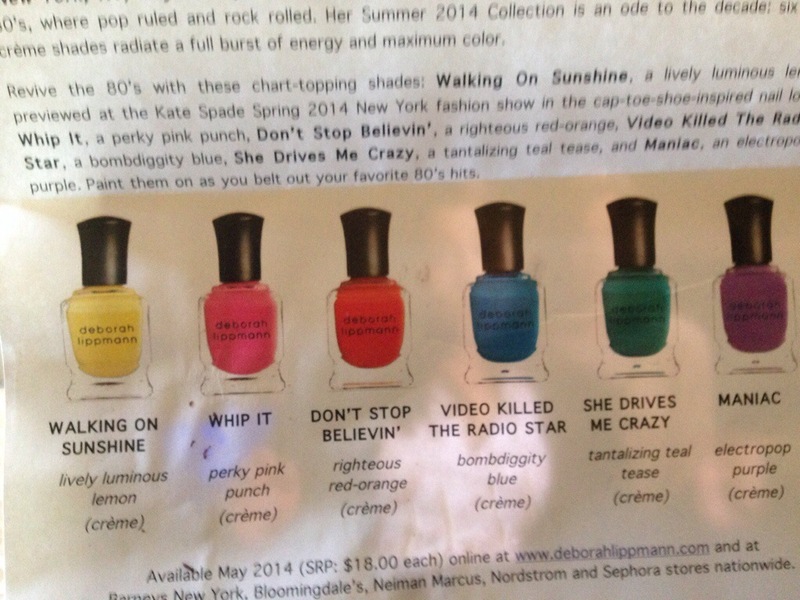 So, even though summer has come and gone the Deborah Lippman Summer 2014 Collection is still a great choice for the upcoming fall months. 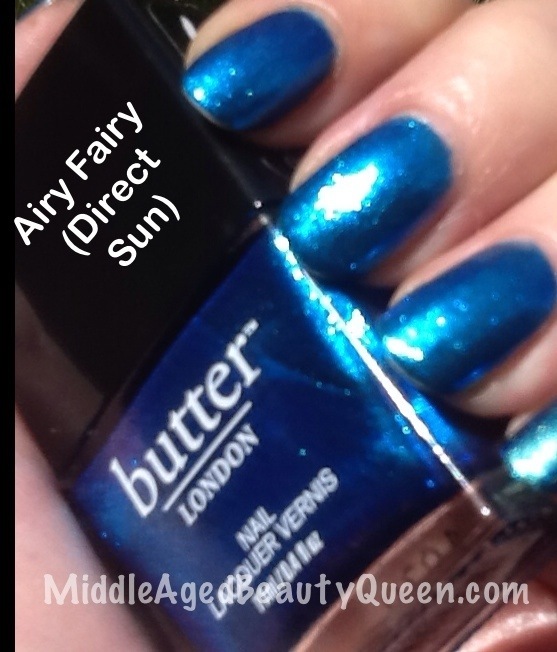 This is a new polish for me from butter London and was sent to me to review, all opinions are my own. 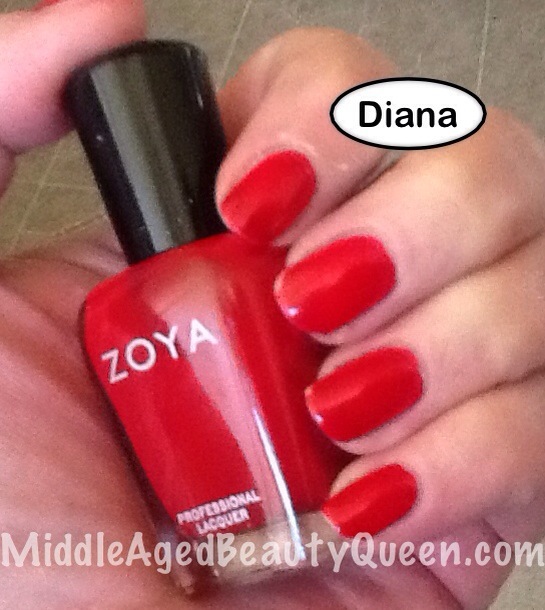 I was not asked to give an opinion about this polish, but of course you know I have one! 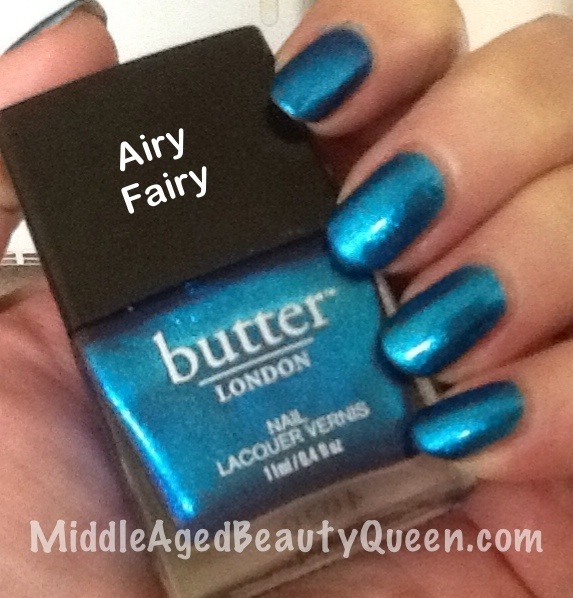 Airy Fairy from butter LONDON is such a pretty! sparkle-y blue without being glittery and I love it. This picture was in my kitchen. This picture of Airy Fairy was outdoors on an overcast day. Bam! Full sunlight. And this is the second day of wearing. This color really needs to come with a warning about driving while nails sparkle, sparkle, sparkle! Especially when the sun hits them full on, I think this is an absolutely gorgeous color for Spring and Summer. I will be wearing often. 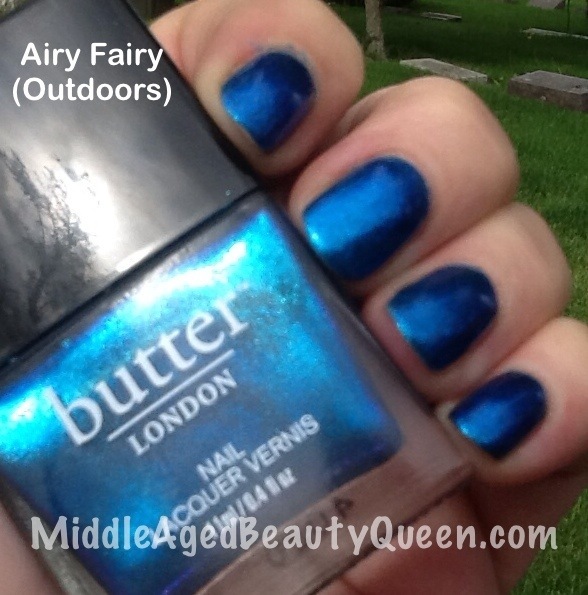 The formula, brush, etc are all typical butter LONDON great. Coverage was awesome with 1 coat, but as always the pictures are 2 coats with a quick dry top coat. Today is day 3 for Airy Fairy and there is no sign of wear, even on the tips. I think butter LONDON is by far one of the best brands out there. Availability can be tough for us small town girls but I know Nordstrom’s carries BL and of course their website is a fun one. BL retails for $15 (sales are often available on their site) and they are a cruelty free company. That right there makes it worth every penny of the $15. .
We are smack in the middle of our dogwood season in our little town. We have a Dogwood Festival every year that lasts about 10 days. I think it’s compulsory for everyone to plant a dogwood tree. 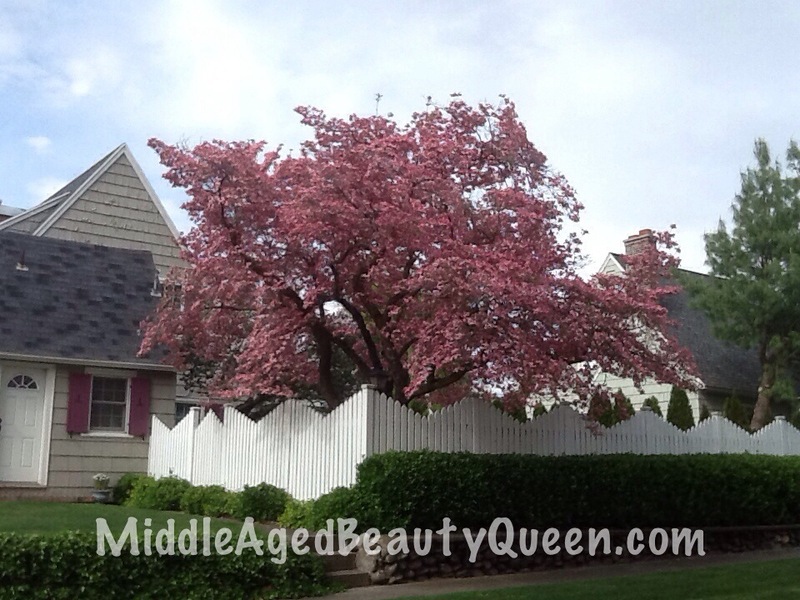 I love all the dogwoods bloomed out. This is my favorite time of year! I think pink is my favorite color. These are a few in my neighborhood. Week 66 of the NPLC was brought to you by the number 66! As I stated in an earlier post I’m still working on getting my spreadsheet back to accurate so this week I used a polish I recently bought. The Nail Polish Lottery Club has been going for 66 weeks now and it is a lot of fun, if you’re like me and you have a lot of nail polish, some of it un-tried. To participate, make a numbered list of your un-tried nail polish. Each Monday at 1pm PST, I pick a new number using 1-365 at Random.org. 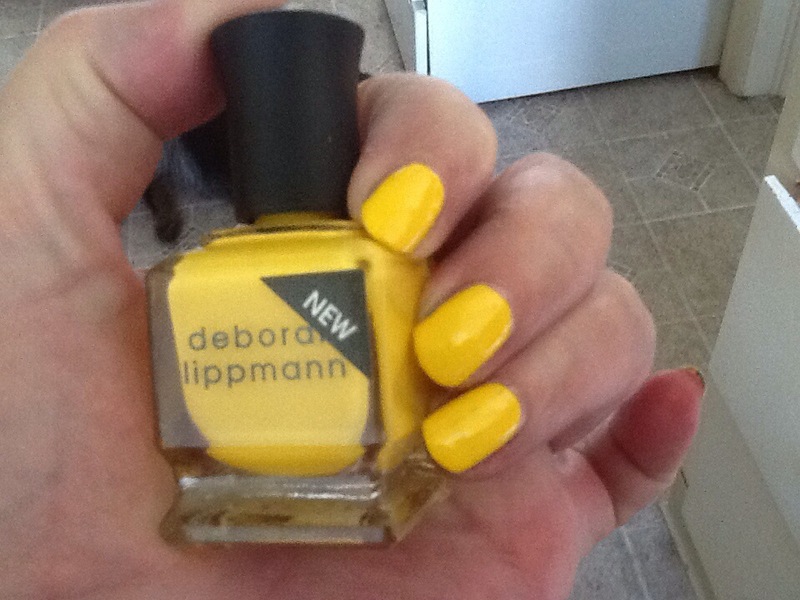 The numbers can be manipulated however needed so that you then try a polish you own but have never worn. I know everyone has their own way of making their sheets, using the numbers and defining un-tried nail polish. My definition of an un-tried, is a polish I may have swatched and photographed but never worn as a day to day manicure. We use numbers 1-365 so sometimes the number chosen will be more than the number of polish you have in your collection, that is when the manipulation of the numbers works. For instance, this week was #66, you could use #12 (6+6=12) or #3 (1+2=3). It’s all very simple and lots of fun. For more information or to join along visit our Facebook page here. This is where you will also find a complete list of guidelines, which explain things way better than I can. Candid Affair from Wet n Wild Mega Last. This is a new, Limited Edition from Wet n Wild Mega Last, which after months and months of the same color options at the drug store, it was so nice to see some new colors from this line. 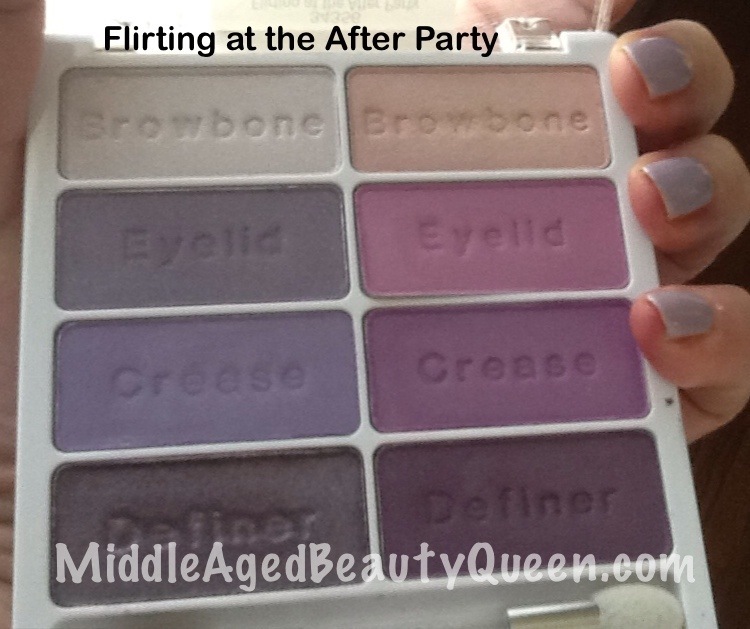 I bought the 2 nail polishes circled in the photo and the eyeshadow pallete called “Flirting at the After Party”. Wet n Wild is an incredibly nice eyeshadow, for a drug store brand. 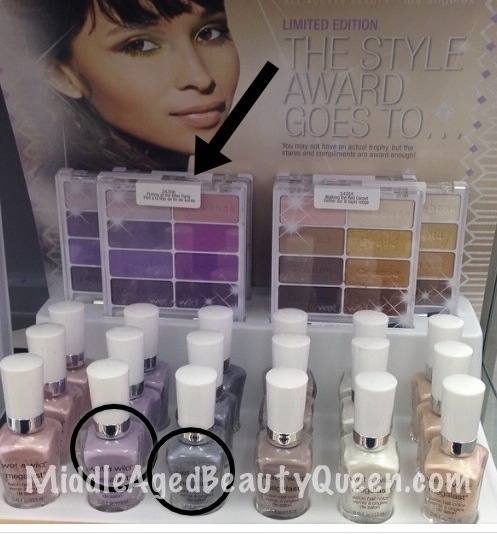 The colors are rich, stay true to the pan color and I find they stay on fairly well, again for a drug store brand. These are all Limited Edition which can be a hard to find. You can tell the LE status from the white packaging. 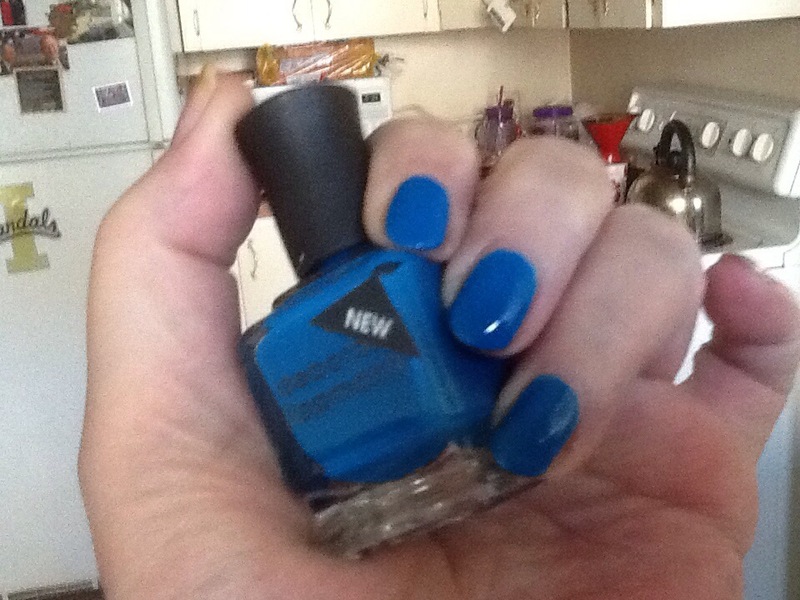 WnW Mega Last came out number 1 in my list of nail polish by brand comparison I did last summer. One of the reasons was the pricing. I used price as a factor which moved a lot of the drug store brands up the list, but even so I compared the drug store brands equally to higher end polish using formula, dry time, colors, bottle and brush design and WnW Mega Last held its own. 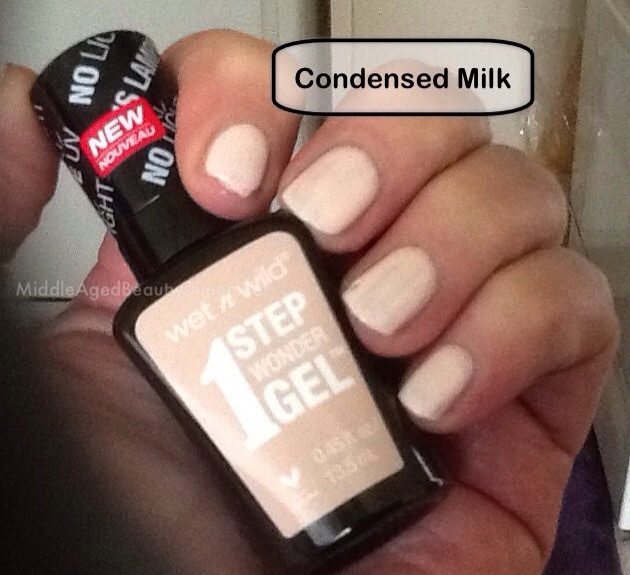 WnW Mega Last nail polish has a nice workable formula. Not to thick, self levels, dry time is pretty fast. Any time there is a sheen or shimmer in the bottle, it almost always translates to the nails. The brush is a wide flat brush. My favorite kind! I know some don’t like this brush but if you wipe the brush on all sides you can use it as a normal size brush. 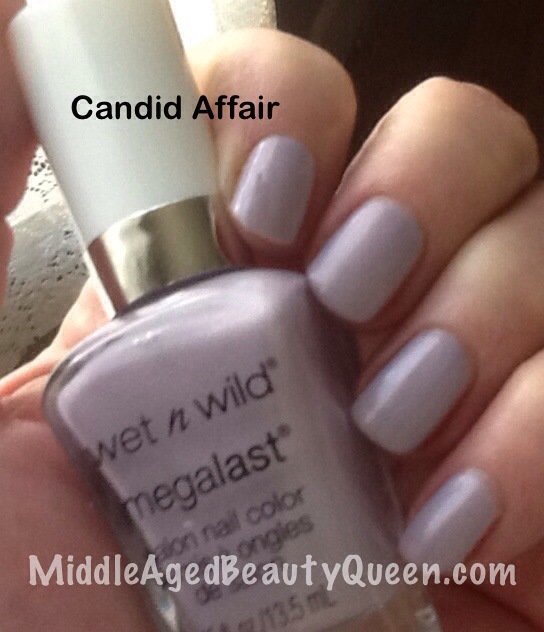 Candid Affair is a soft lilac color with a bit of a sheen. The photos are 3 thin coats with a fast dry top coat. This was needed to cover VNL, but if you don’t mind a bit of visible nail line, 2 coats work great. If you can find this collection, I suggest you picking it up. . For less than $10 you would be set for Spring. 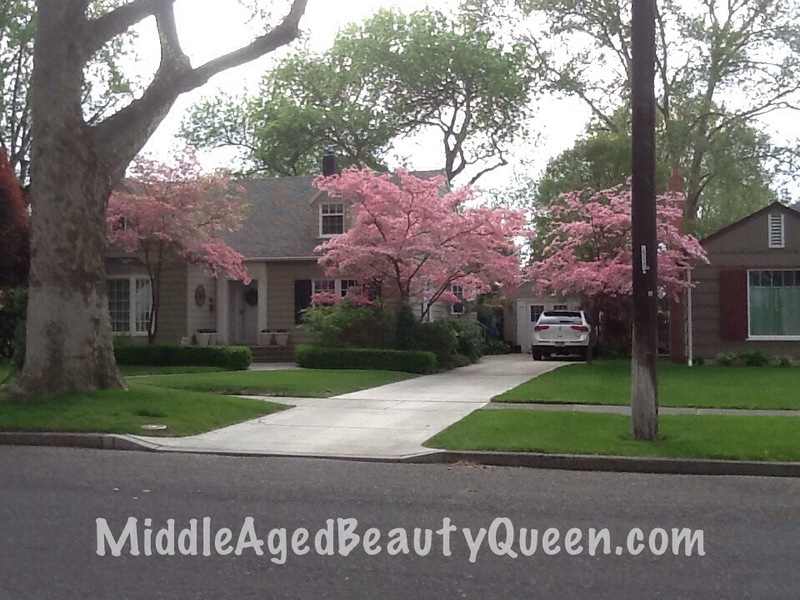 What is better on nails during Spring then a soft lilac? Or a soft silver/gray? Both work and both are right on trend for this Spring. 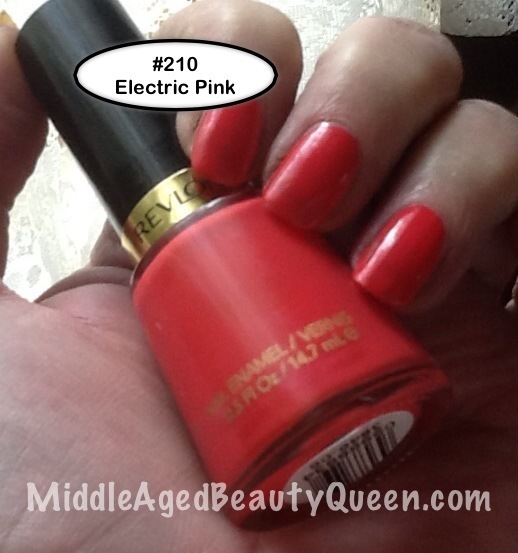 Electric Pink from Revlon numbered 210, is more orange than pink. 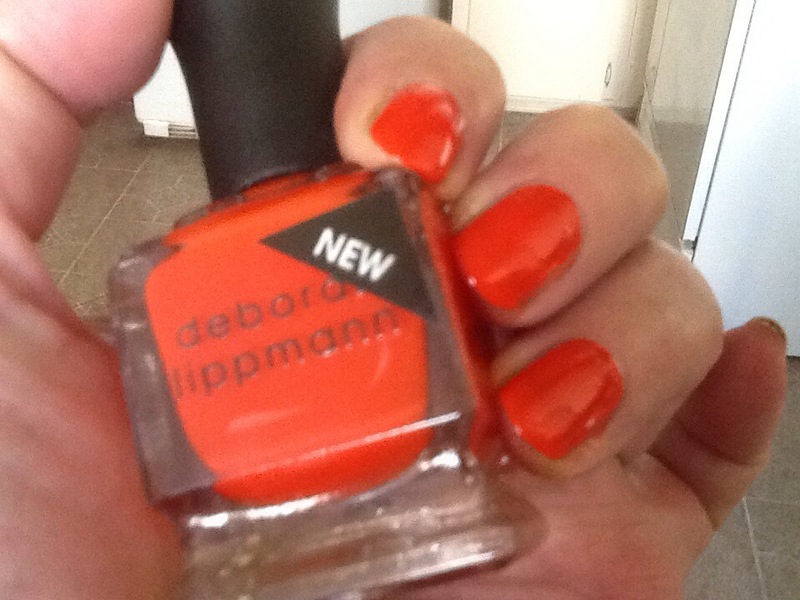 It looks orange in the bottle and even more so on the nails. My skin tone and orange do not get along. I am sure this will be the last time I wear this one. 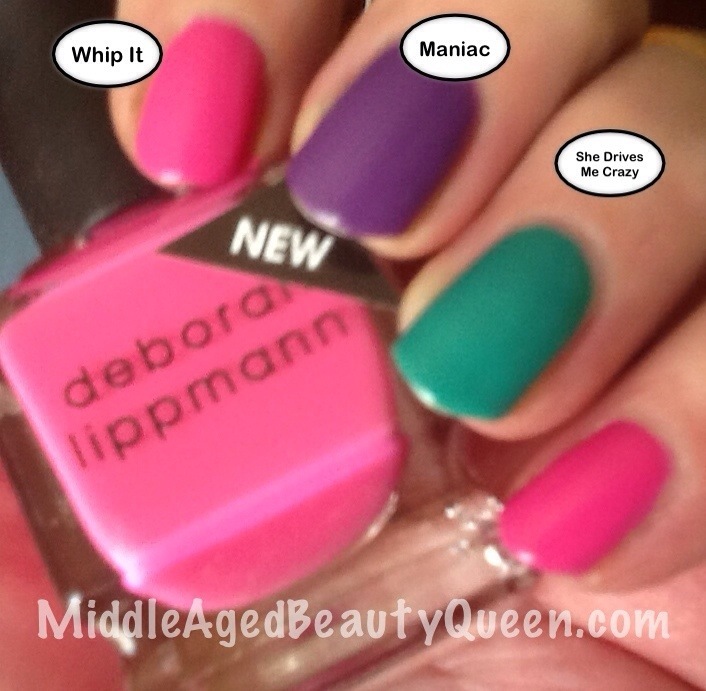 I picked this week’s color by grabbing without looking. As I’ve said, I have so many Revlon nail polish, it makes it hard to decide. Most of them I consider a “classic” color, but a few are in the category of Electric Pink which means not for me. Electric Pink had a thinner formula than usual which caused some cuticle flooding. The coverage is not that great either. As you can see, with 2 coats there is still the dreaded VNL (Visible Nail Line). 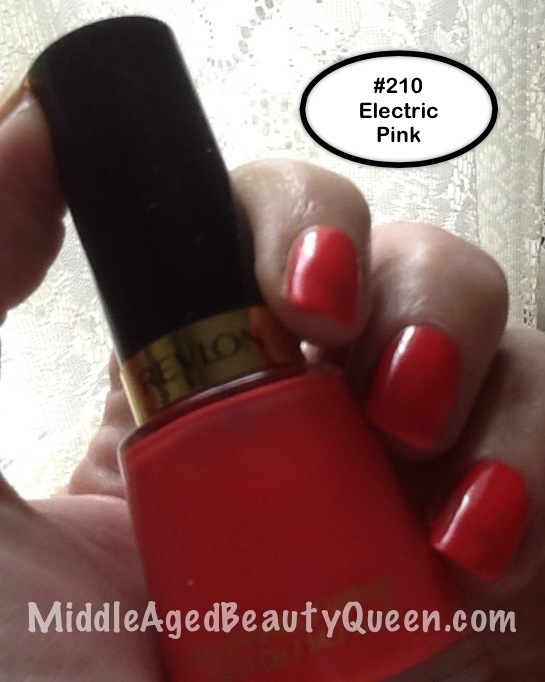 Even though by the days end I’m sure I will have changed out my polish I am glad to have tried Electric Pink from Revlon. Hopefully next week will be a better choice!